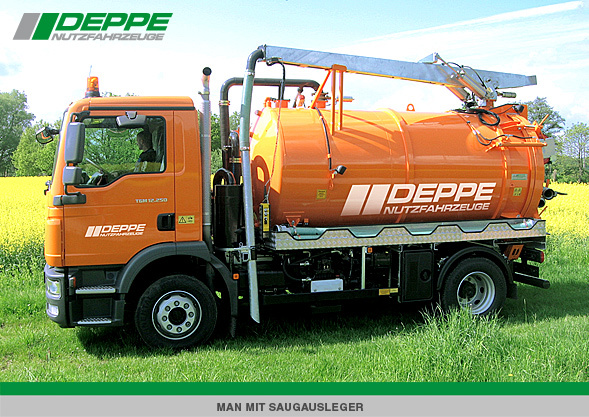 The company Hermann Deppe Commercial Vehicles has been active for more than 25 years in commercial vehicles, construction equipment, machinery and machinery parts trade. Our many years of experience in the commercial vehicle business ensure professional advice for you. 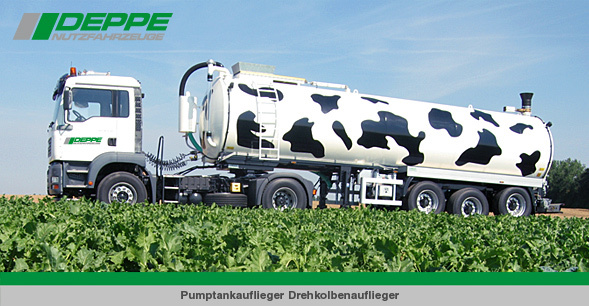 In our tank vehicle, we offer customized and tailor-made solutions for slurry tanks, manure tank trailers and truck tanks for the transport of sewage, manure and digestate. We are a reliable partner around the truck available. Our office and the large sales area are well connected in Taucha at the B 87, and only 1200 meters from the A14 motorway, exit No. 25, Leipzig Nord - Ost. In our company, next friendliness and expertise also a discussion in terms of leasing and financing and the entire process of export - and customs formalities.